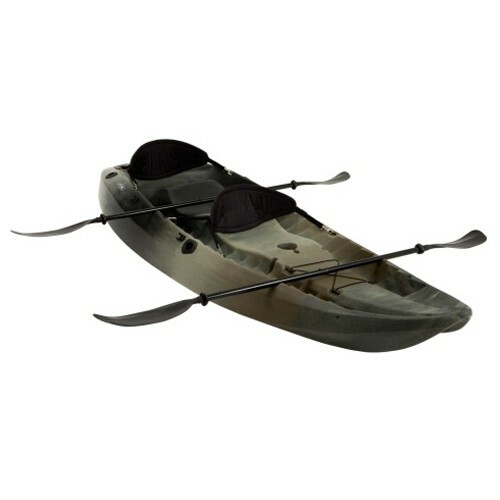 Lifetime Sport Fisher™ Tandem Kayak - The 10 ft. tandem kayak has a 500 lb. weight capacity and comes in camouflage with (2) soft backrests (1063592). It features paddle clips, (3) fishing pole holders, and a 6" storage hatch. (2) double-sided paddles (1075432) are included. 1-year limited warranty.